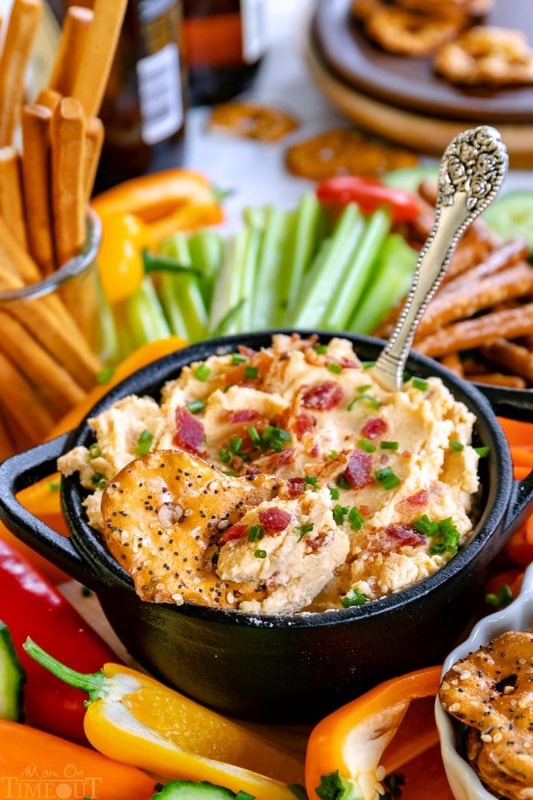 This easy Beer Cheese Dip is such a crowd pleaser and takes just 5 minutes to make! Made with bacon, a variety of seasonings, and a secret power ingredient, it is best served with fresh cut veggies, pretzels, and breadsticks! Dips are the life of every party! 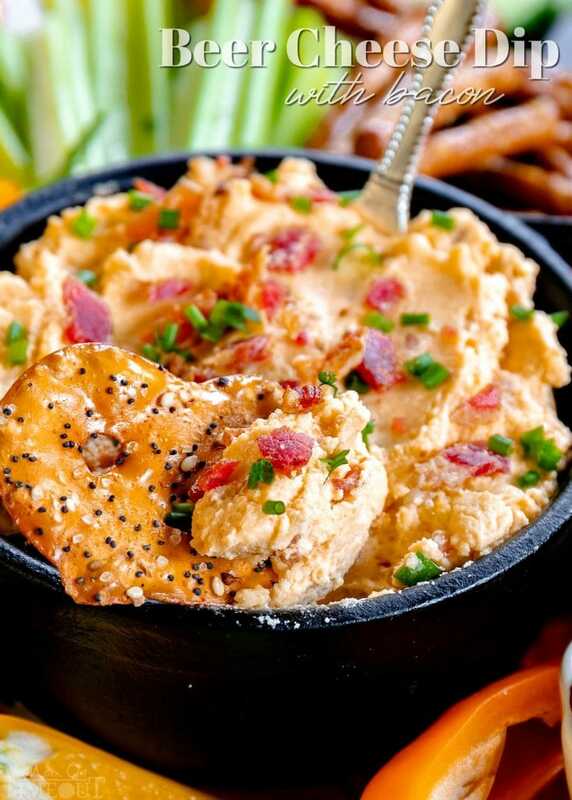 Make sure to try these favorites: Baked Bacon Cheese Dip, Spinach Artichoke Dip with Roasted Garlic, and Seafood Lovers Baked Crab Dip! There is nothing more fun than appetizers. They are the life of every party and what my guests look forward to the most when they come to my house. Whether it’s the holidays or the big game, when I’m planning a get-together, appetizers are my favorite thing to make. Today I’ve combined three favorites into one incredible dip (or spread! ): cheese, beer, and bacon. This recipe is quite possibly the easiest recipe on my site because you literally dump a bunch of ingredients into your food processor and let ‘er rip. What’s In Cold Beer Cheese Dip? Well, you probably guess the beer and cheese part 🙂 I also added some garlic and other seasonings to give this dip maximum flavor while still highlighting the beer and cheese flavors. Please feel free to add or substitute your favorites to this recipe – but don’t forget the bacon! cottage cheese I used Friendship Dairies Cottage Cheese for this recipe. 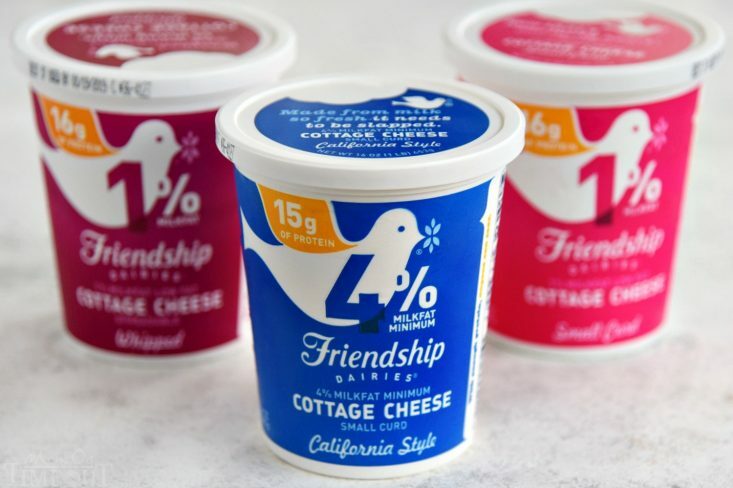 The cottage cheese makes it nice and creamy and adds a little tang. beer or ale – please use a beer or ale that you actually like to drink! You can taste the beer in this Beer Cheese Dip so it’s important you like the flavor profile of the beer you use. 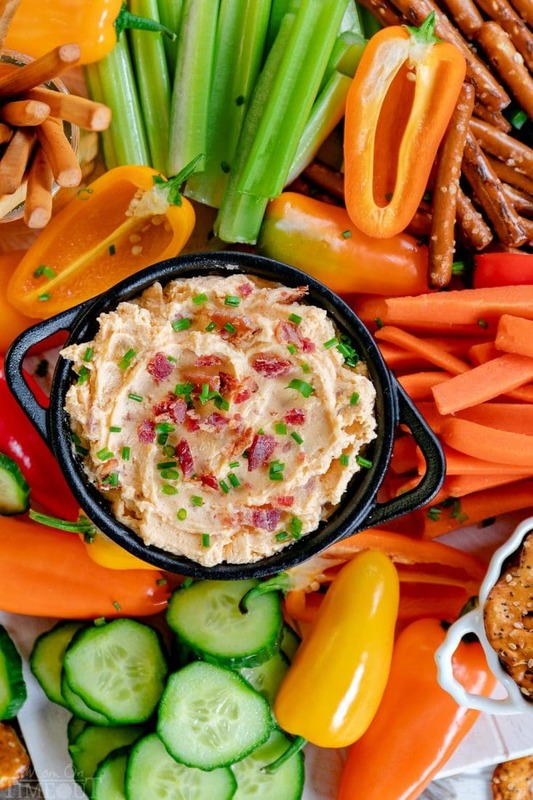 bacon – I used about 3 slices in this dip and reserved a tablespoon or so for garnish. The recipe below calls for a half a cup of beer or ale. This gives the consistency of a dip OR spread. If you would like it to be thinner, just add a tablespoon or two more beer. I used the whipped 1% milkfat cottage cheese for this beer cheese dip but also tested the recipe using 4% small curd and 1% small curd and it worked beautifully so use what you prefer. The food processor will puree it so it really doesn’t matter too much. 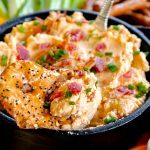 I really hope you give this easy Beer Cheese Dip recipe a try! It’s sure to be a hit for next game day! This easy Beer Cheese Dip is such a crowd pleaser and takes just 5 minutes to make! 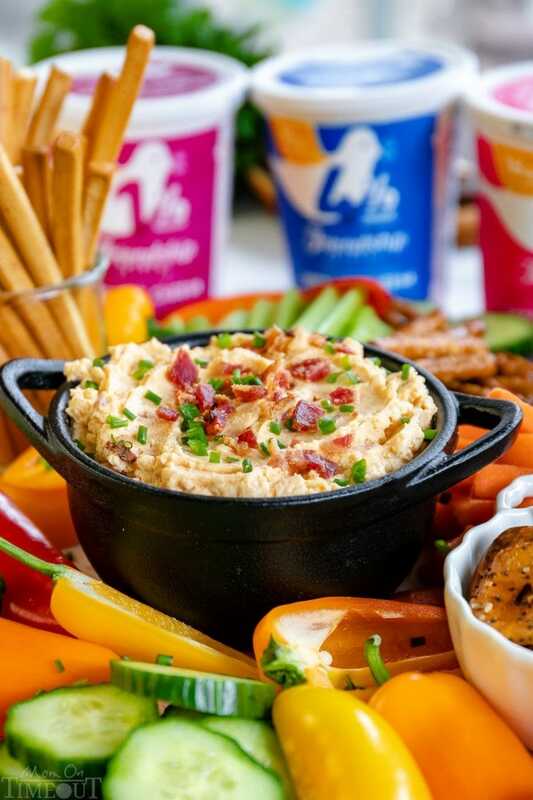 Made with bacon and a variety of seasonings, it is best served with fresh cut veggies, pretzels, and bread sticks! Pour beer into a measuring cup and let it become flat while you gather the remaining ingredients. Add all of the ingredients to food processor in order listed except for the bacon. Pulse a few times to incorporate. Turn food processor to high and puree until nice and smooth or desired consistency is achieved. Add bacon and pulse a few times until it is incorporated. Remove the dip from the processor and place in refrigerator to chill for at least an hour for best flavor. Serve with pretzels, bread sticks, and fresh veggies.